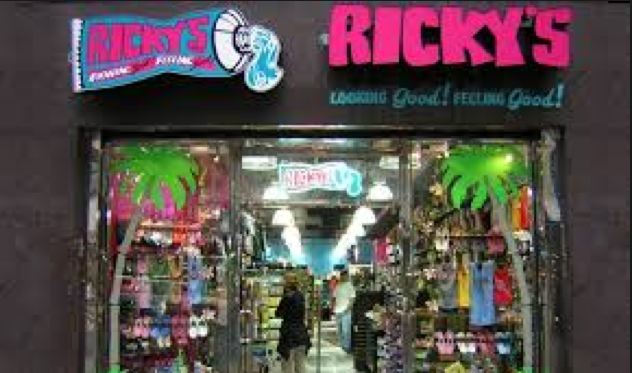 Yesterday I dragged F to Ricky's a popular chain of New York cosmetics store. The dozen or so 20-something aged staff was having a meeting with their slightly older manager lady. 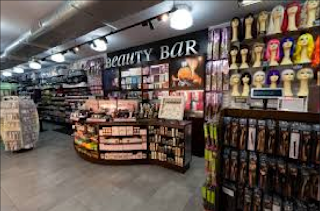 She was saying things like, "Remember that the Wella conditioner super shine formula will look identical to the new Wella extra polish formula, but they are obviously completely different." She had such an annoying voice and the staff were so obviously terrified of her that I decided to play a little prank. You have to understand that the manager lady's voice made Janice on the show Friends sound almost musical in comparison. After F signed for the credit card payment, I borrowed the pen and wrote a note to the cashier: "That lady has the most annoying voice ever! :)"
The cashier cracked up laughing until she had tears coming out of her eyes and all the other people had to stop the meeting to make sure that she was okay. We ran out. F looked at me like I had lost my mind. I make my own fun, okay?